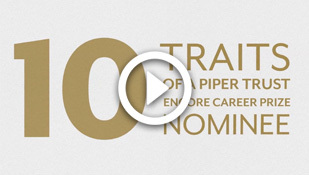 The Piper Trust Encore Career Prize for an Exceptional Individual recognizes the social purpose work of a person, age 50+, who is an inspiring encore role model for applying years of experience and talent to a social cause in Maricopa County. Russ Perlich works to ensure that underserved students have access and exposure to the grandeur of the performing arts. 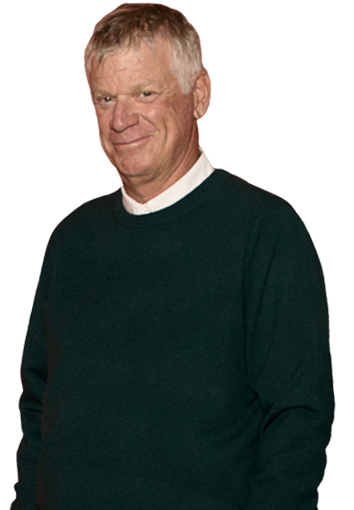 Act One, the nonprofit he founded in his encore career, has provided nearly 80,000 students with arts education and field trips to professional performances. Act One is a testament to his desire for all children to receive an equitable and enriched education. 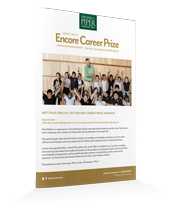 The Piper Trust Encore Career Prize for an Exceptional Individual is a $50,000 award designed to recognize and advance the social purpose work of a person who is an inspiring encore role model serving Maricopa County. 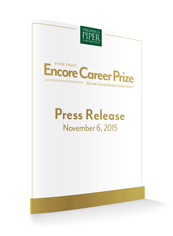 As it relates to the Piper Trust Encore Career Prize, social purpose work combines the experience of a person with a cause that he/she is passionate about — a meaningful issue that someone applies years of talent and expertise to, and through this work, a significant difference in the quality of life for others is achieved. 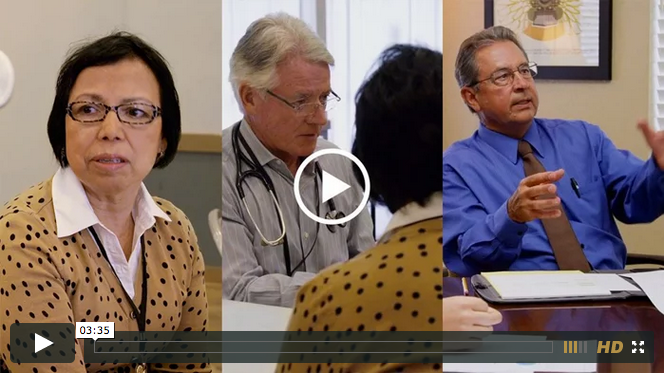 The work must be serving a social purpose within Maricopa County and have a track record of impact for a minimum of three years. A selection committee of local and national members and Trustees of Virginia G. Piper Charitable Trust will select one awardee based on the following criteria: exemplary and compelling encore role model; social purpose and significance of impact; innovation and future plans.